Hollis Johnson/Business InsiderApplebee’s is aiming for a comeback. Applebee’s is gunning for a comeback after a sales slump. The chain closed 99 locations in 2017. 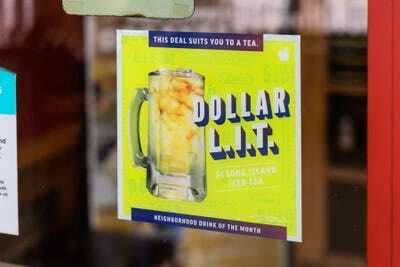 The casual-dining chain is doubling down on deals and limited-time offers, like the $US1 Long Island Iced Tea, to bring back customers. 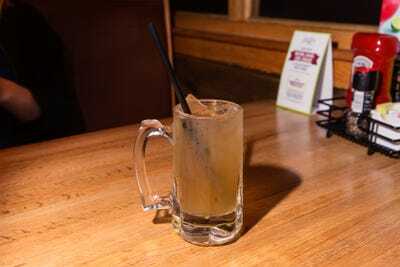 We visited Applebee’s to see how the menu revamp was going and were impressed by the deals – and the cheap drinks. Applebee’s is desperate for a comeback. The casual-dining chain has struggled to grow sales in recent years and closed 99 locations in 2017. 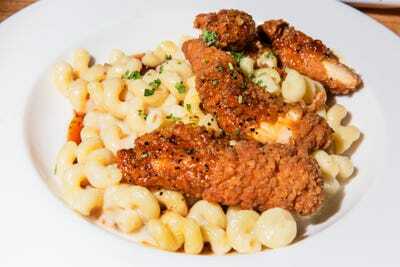 Inauthentic ads turned off customers while expensive redesigns cut into restaurants’ profits. 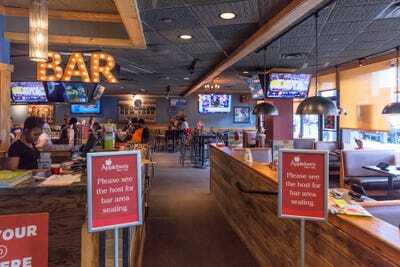 Applebee’s – along with the wider casual-dining industry – seemed to be fighting a losing battle to win over younger customers and beat out fast-casual chains and independent restaurants. Now things may be looking up. 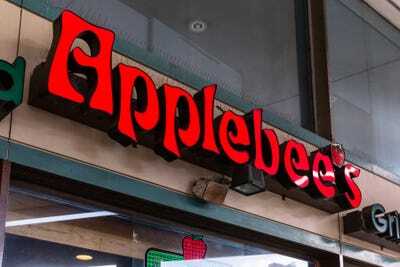 In May, the parent company Dine Brands reported that Applebee’s grew sales in the United States by 3.3% in the most recent quarter. According to the company, increased traffic drove the sales increase, meaning customers are finally coming back to the chain. At the door to a Brooklyn Applebee’s, a sign greets us with the promise of $US1 Long Island iced teas. Applebee’s began its $US1 drink deals in October. 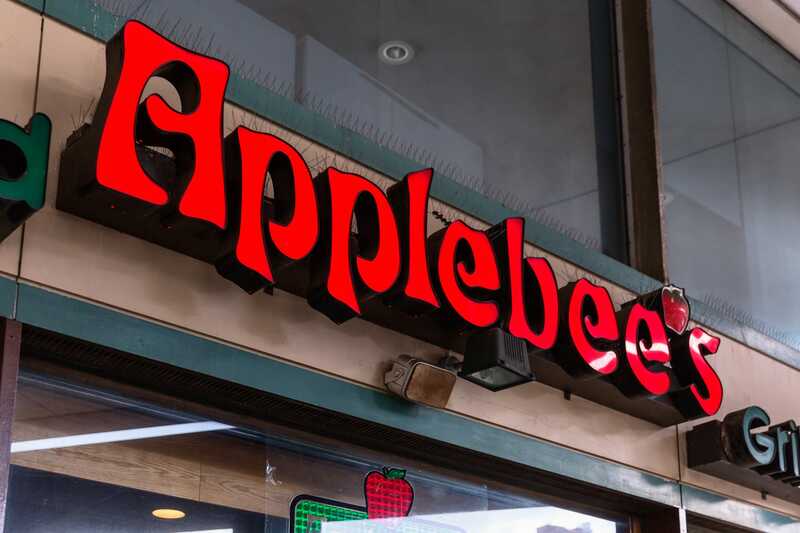 While sales didn’t immediately skyrocket, the deals served as a crucial cornerstone to the chain’s turnaround – something designed to persuade customers to visit Applebee’s again. “When it first started, we were looking at social media and millennials were like: ‘I don’t like Applebee’s. But dollar margaritas? I’m in,'” Dine Brands CEO Stephen Joyce told Business Insider in May. At first, some at Applebee’s were worried by the negativity. Joyce took the opposite approach, telling executives to use the $US1 drinks to “get ’em in” and persuade millennials to reconsider Applebee’s. Sliding into our booth, we decide it’s our journalistic duty to order the L.I.T.s. They were … fine. Reporters were mixed on the booze levels of the drink. While one reporter said it was weak but definitely contained alcohol, the other felt the beverage to be significantly more potent, falling asleep on her couch at 6 p.m. after two L.I.T.s. As we sipped our cocktails, heartier fare beckoned. We started with the classic combo platter — a smattering of iconic appetizers. The standout among the apps was clearly the spinach-and-artichoke dip. The standard chips were nothing but vehicles for shoveling the rich and decadent goop into our mouths. The boneless chicken wings were more forgettable, but they packed a nice zing. While the chicken itself was slightly fattier than the perfect wing, Applebee’s dodged the bullet of serving up an overly dry and stringy piece of meat. There’s a darkness lurking behind the perfect cheese pull. While this mozzarella stick may look like a work of art, the cheese itself was rubbery. We still ate them all, but it must be acknowledged that an Instagram-worthy cheese pull does not a mozz stick make. 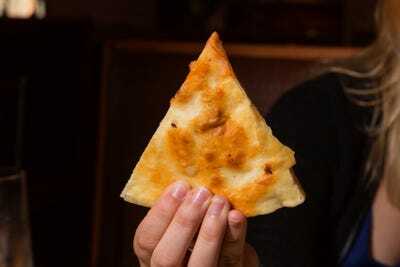 The quesadillas were another simply passable app — one we felt we probably could have whipped up in the microwave in the comfort of our own apartments, for better or worse. The salad was classic restaurant Caesar fare, with limp lettuce damply drenched with dressing. Nothing fancy, but it fulfilled a certain craving and fooled us into thinking we were making healthy choices. 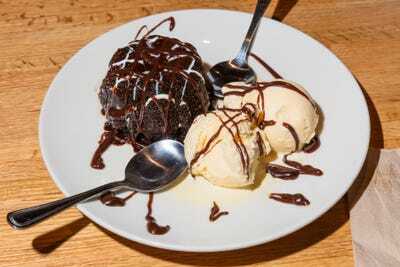 We decided to opt for the two-for-$US29 deal for dinner — one of the budget-centric deals that Applebee’s is pushing to win over customers. 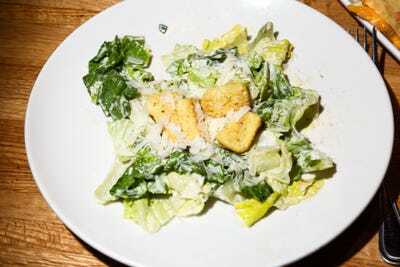 The deal and its sister deal (two for $US20, which involves different entrée options) allow customers to choose two entrées from a list as well as two salads or appetizers. 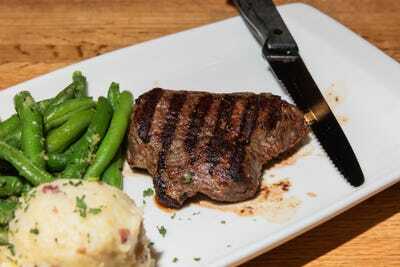 Kate picked steak with sides of green beans and mashed potatoes. 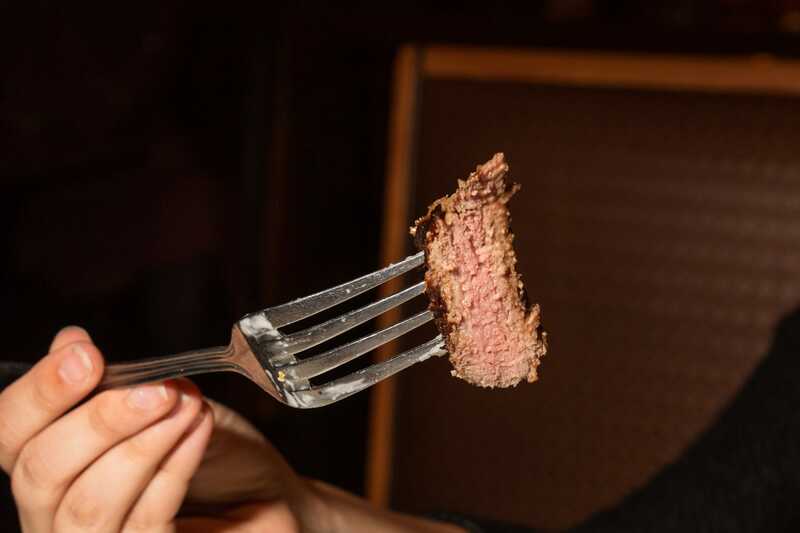 The steak wasn’t the best we’d had, but it beat out some far pricier cuts of meat. The sides were par for the course, with a sort of garlicky butter sauce lackadaisically drizzled on top. All in all, it felt as if we got our money’s worth and perhaps a little bit more. Hollis’ mac and cheese with chicken tenders called to mind a meal a parent would make to please a picky child with the most stereotypical cravings possible. That’s not to say it was bad, as the honey pepper sauce provided a surprisingly light and sweet glaze. The dish, however, was certainly less than the sum of its parts. For dessert, we went with another child-pleasing pick: the Triple Chocolate Meltdown. 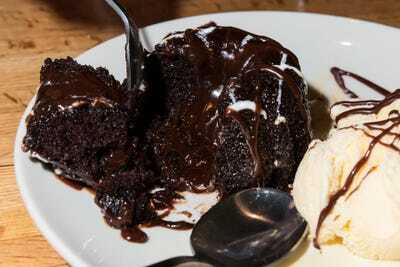 Before we even took a bite, the familiar chocolatey aroma of brownies baked fresh from the box engulfed the table. It’s a gooey, chocolate-filled mess that is deeply fulfilling on an almost chemical level. 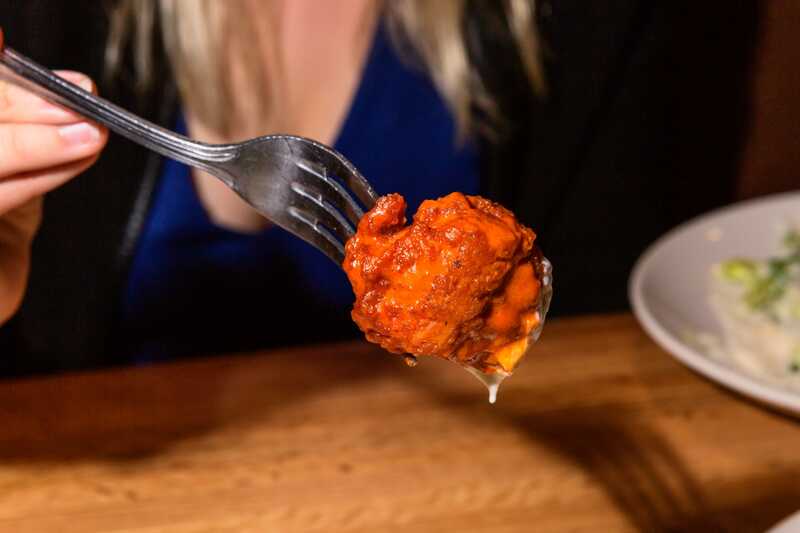 How could it be anything but delicious? 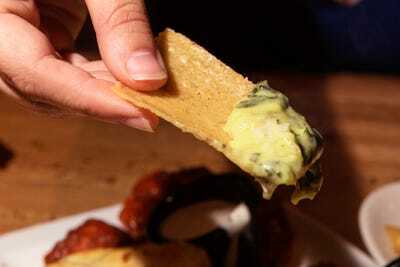 Nothing we ate at Applebee’s was truly exceptional, with the possible exception of the spinach artichoke dip. Still, when the check arrived, we felt satisfied. While the appetizer combo and dessert added on to the bill, we could have ordered a reasonably decadent meal for less than $US15 a person — $US17 including our two drinks each. In addition to limited-time deals like the $US1 L.I.T., Applebee’s is trying to win over customers simply by providing value. It is a reversal of the chain’s previous attempts to appear more upscale, with changes such as new grills. But it is one that seems to be working with younger customers. 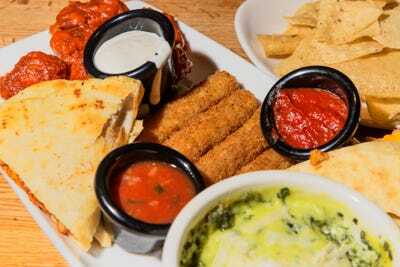 As they grow families of their own, millennials are being drawn in by value and convenience, with Applebee’s adding options such as takeaway and delivery. “As the millennials age, they begin to act more like their parents,” Joyce said. 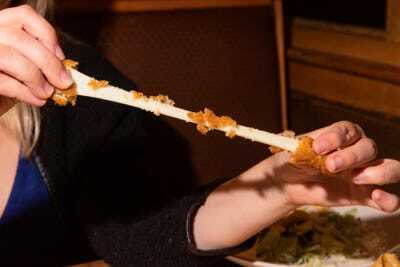 The new-and-improved Applebee’s wasn’t remarkable — but it doesn’t need to be. All it needs is cheap drinks and acceptable meals at low prices — and it provides that in spades. We’ll be back the next time the Dollarita hits the menu.